Albert Bloch was an enigma to many people, including his grandson Scott, who has spent two decades unraveling the mystery of Bloch’s life. Some answers are revealed in the documentary film “AB,” which are Albert Bloch’s initials. Scott Bloch wrote and produced the film, which will be screened during this weekend’s Kansas City FilmFest International in Kansas City, Mo. 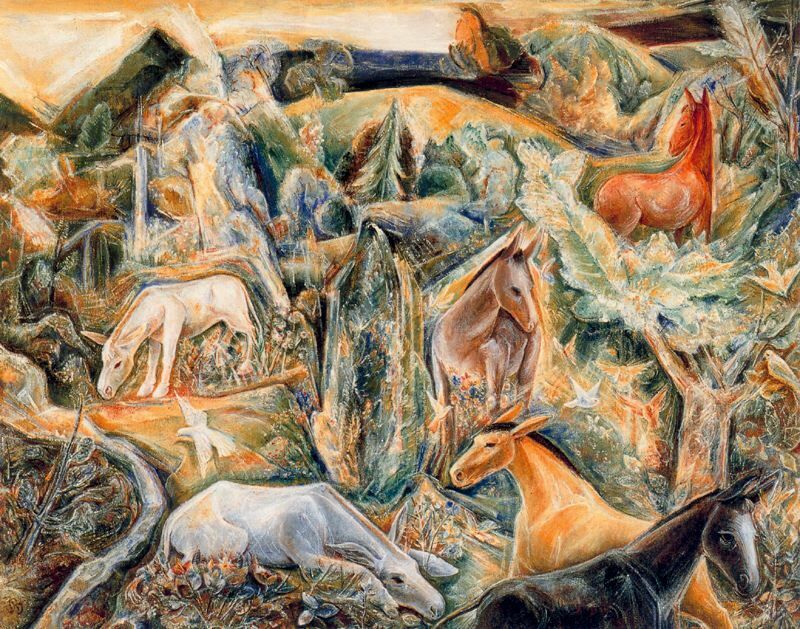 An artist, poet and professor at the University of Kansas, Albert Bloch was the only American in a pioneering German Expressionist art movement known as Der Blaue Reiter, or The Blue Rider. 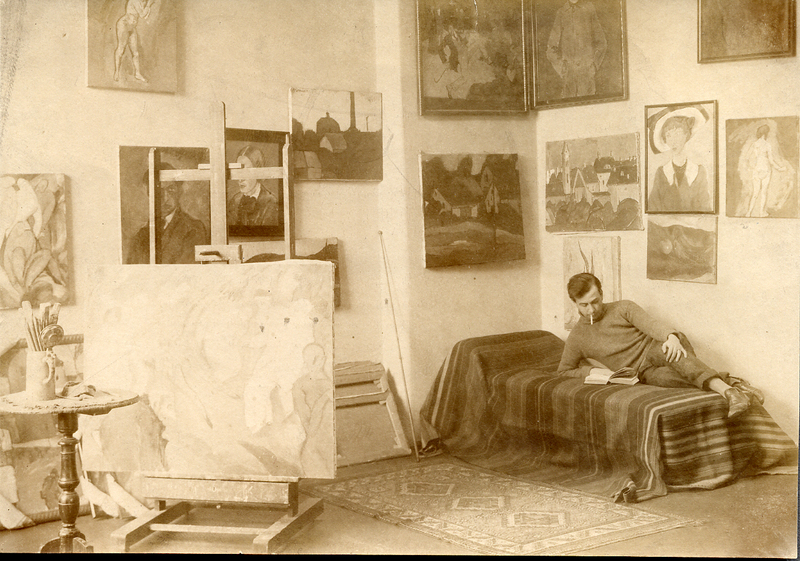 The pre-World War I group helped pave the way for modern art and included Wassily Kandinsky, Franz Marc, Paul Klee and Gabriele Münter, who rose to international acclaim. 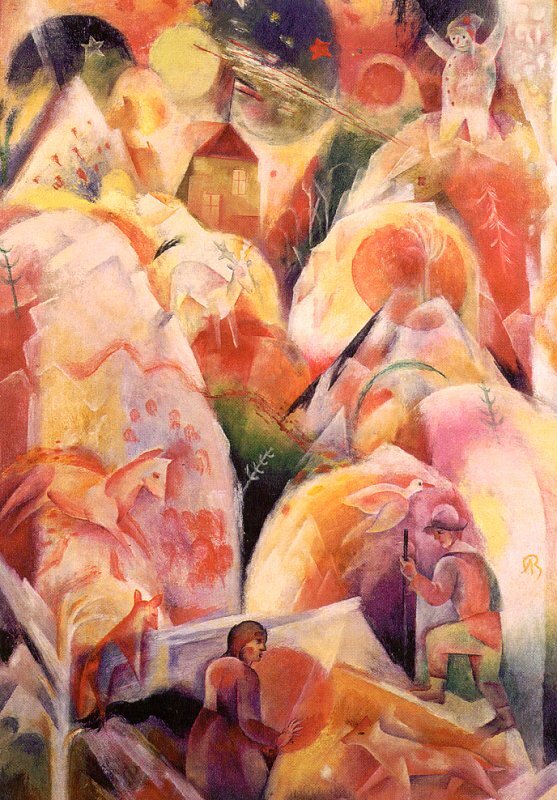 Albert Bloch’s paintings were part of numerous exhibitions in Germany and around Europe in the 1910s. Originally from St. Louis, Mo., he returned to America after World War I and joined KU’s art faculty in Lawrence, where he lived a quiet life. The documentary looks at Albert Bloch’s life through his art, writing, photographs and home movies shot with Super 8 film. Through the research, Scott got to know his grandfather and his brush with fame. Now 60, Scott grew up on the East and West coasts and only met his grandfather, who died in 1961, once. Prior to the research, he knew only what he was told by his father, Walter Bloch. The film also includes interviews with Albert Bloch’s widow, Anna, who was Scott’s stepgrandmother, with whom he established a relationship when he was a student at the University of Kansas in the mid-1970s. 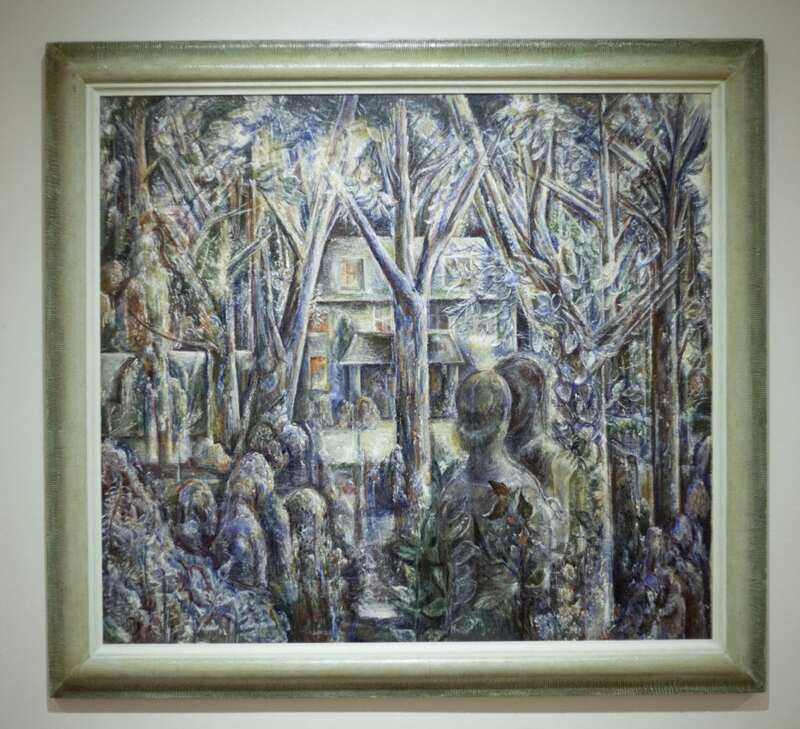 The full article may be viewed here, https://www2.ljworld.com/news/general-news/2019/apr/10/late-lawrence-artist-albert-bloch-to-be-featured-at-film-fest-in-documentary-created-by-grandson/.